Audrey Hepburn and Marilyn Monroe have done much for the jewelry industry the world over by helping women become more and more fascinated with jewelry. It gives women this sense of power and elegance that they simply can’t get from anything else. If you’re a married man or if you’re in a serious relationship, you might want to consider jewelry as your next idea. And if you’re looking for a reason why you should give your significant other jewelry, don’t do it just because you messed up. Do it as a symbol of your love and affection for her, and how you’re willing to do just about anything to make them happy. A nice necklace or a pair of earrings will go a long way with a woman, especially when it’s in a design that she really loves – and we’re not even talking about the size of the precious stone just yet. 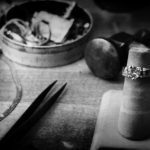 Don’t immediately dispel the purchase of jewelry as an unnecessary expense, the value of these things shoot up just as much as precious stones and metals do. And it’s one of the safest investments you can make as well. Aside from real property, it’s one of the very few items whose value rarely decreases, so it’s safe to say that you’re putting your money in a very safe place. More than that, you can also consider this as a family heirloom, which you can pass on, from generation to generation much like many families practice up to this day. Picking jewelry can be something quite difficult. Contrary to what you might think, pick jewelry is not just about getting the highest number of carats, the biggest diamond, or the rock with the nicest cut. There are a lot more things to consider when you’re picking jewelry for that special someone. The first thing you have to do is pick the type of jewelry that your partner wants or likes. Does she was a necklace, a bracelet, a ring, or maybe some earrings? Once you’ve picked the general type of jewelry, there are a lot of types per kind. You will have to pick the length of the necklace, the size of the ring, the style of the bracelet and the type of earring, whether it is a stud or it dangles. Once you’ve picked out those details, you have to customize or at least decide from those that are available, the setting of the stones you will pick. There are a lot of intricate details that differ in each piece of jewelry so you have to chose carefully the one that perfectly describes her style and exquisiteness as a beautiful woman. Lastly, you will need to pick a stone. It’s not just about the largest diamond, there are plenty of other gems to choose from in a variety of cuts. Her birthstone may also be something she will like. What is important in all of these choices is knowing her preference, so as long as you don’t just pick one blind, you’ll be fine.